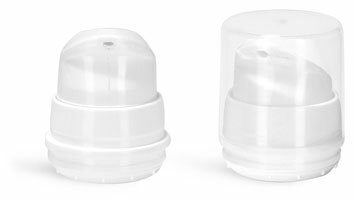 White polypropylene airless pumps are sold in bulk with clear snap on overcaps. These airless pumps have a 0.4 ml output per stroke and dispense with metal free construction. 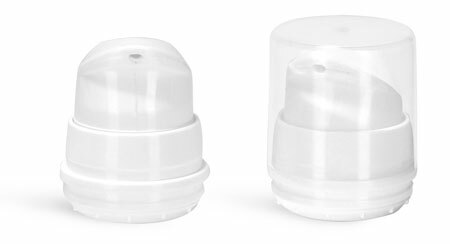 Pair with white polypropylene airless bottles to safely package sensitive products like serums and foundations by preventing their exposure to excess air.